Delicious whiskey tasting in Portland. Stumbled across this micro distillery. They were closed but very kind gentleman have us a personal tour and then let us saddle up to the bar and sample his fantastic whiskeys. I was able to buy two bottles to take back home. I'll report tasting notes when I sober up. Crazy day in the stores today. Picked up two Elmer T Lee, another bottle of Colonel EH Taylor, a bottle of Old Medley 12 Year and a bottle of Wathen's Single Barrel. It might be awhile till I can work these into the queue. Elmer and Wathen's are two of my favorites. I look forward to your reviews. I'm currently enjoying some Weller 12 year and have also tried blending it with Antique for the Poor Man's Pappy. I should have said I got the Colonel EH Taylor Small Batch. I do not like the EH Taylor Rye and cannot find the EH Taylor Single Barrel (yet). The small batch is a $40 price point. I think the Single Barrel is about twice that. Rye - what's funny about the Rye is the price is $70 in most stores along the NC border in SC, with the exception of one which has it at $105. I tried it in a brewpub which had an outstanding selection of Bourbons and hated it. Glad I went with the Small Batch then. I think Elmer is my favorite for its price. It has that nice big creamy mouthfeel. Anyone try Wild Turkey Rare Breed? A store clerk was trying to sell me hard on it. Was a bit pricey for me at that moment. I have a bottle of Russel's Reserve 10 year in the queue, if I like it I might have to try the Rare Breed, or if I can find the RB at a bar I will try it there. 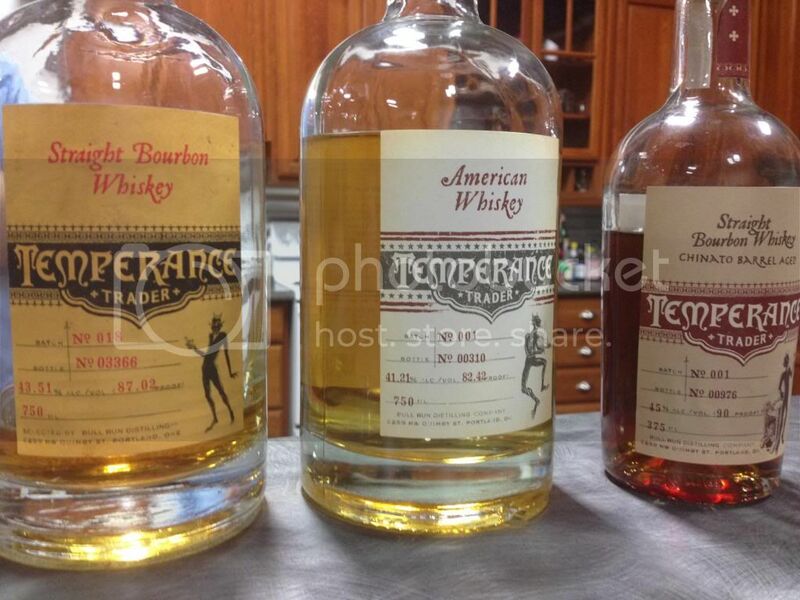 Three you should skip based on the reviews I can find are the Diageo Orphan Barrel Series. As far as I can tell all are overpriced for what you get. Old Blowhard, Barterhouse, and Rhetoric. I cannot find a review that makes me want to blow $75-100 per fifth even if they all are 20 year incantations. My younger brother loves rye whiskey. His favorite 'regular' whiskey is Sazerac. He is going to be 50 on his next birthday so I'd like to get him a really nice bottle of something. I am a whiskey novice, so I thought I'd ask here: What would blow his sox off? Sazerac is another Buffalo Trace product. I just saw some in a store. I really like Bulleit Rye, but it's not high dollar. I don't care for Knob Creek Rye quite as much. I also like Russel Reserve, but couldn't get any last night so it was Rittenhouse for the cabinet. I had a bottle of Van Winkle Family Reserve Rye years ago. Not sure you can still find it. If you can, that might be a nice gift. I've had the Widow Jane....it's quite good.. I like Templeton, but don't understand the fervor people have for it. My favorite rye is Hi-Fi Redemption, but it's only $20. Masterson's is quite good as well, as is Bulleit Rye. I wasn't exactly blown away by Hudson's rye, but it was still good. FWIW - I got around to it and Russell's Reserve ain't bad. Now I followed it with some Bulleit (both were neat), and to my tastebuds Bulleit was better. Same here. I have a bottle of Russell's Reserve now. I prefer Bulleit. I tried a bottle of Corsair Ryemagedon and was not impressed. Very roasty, but it says chocolate rye on the label so I guess I should have been prepared. I am a Maker's Mark Ambassador. My son gave me a bottle of 46 for Father's Day. I've tried many others but always come home to Maker's. I only drink whiskeys that start with the name Old.